Women with a neck circumference over 16.5 may be at increased risk of sleep apnea. Using your index fingers and thumbs, try wrapping your hands around your neck (as if you are choking yourself – but don’t squeeze!). If your fingers can’t touch, you could be at risk. 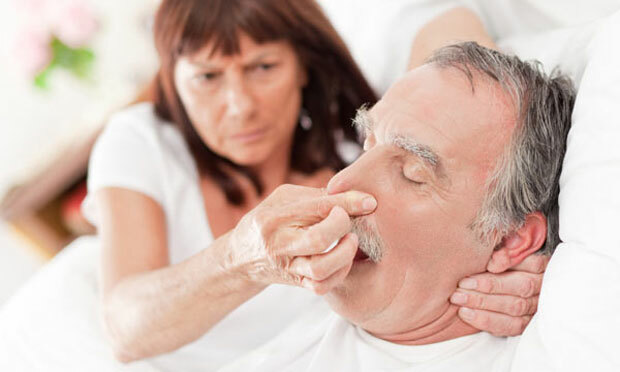 To do the snore test, tilt your head back, relax the muscles in your throat and breathe in through your mouth. If you make a noise while you’re breathing, you could be at increased risk. Read the full article here on Dr. Oz’s site. Make sure you fill out our consultation request form here on the NoMoreSnoring.com site or call one of our offices today!